I describe myself as an optimist with pessimistic tendencies. 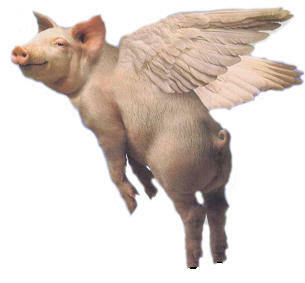 I believe it is possible that one day pigs could fly (evolution is a strange and wonderful process, after all), but probably not before the planet has destroyed itself! I’m less interested in having a philosophical debate about whether Optimism or Pessimism is good or bad for you. I’m more interested in looking at the practical reality of how they inform our behaviour, the decisions we make, and the way we conduct our business lives. There are potential dangers that await both the optimistic company and the pessimistic company. The optimistic company might set unattainable goals and kill themselves trying to deliver. The pessimistic company probably won’t set any goals because they don’t believe they will be able to achieve them. The optimistic company might convince themselves that the downturn is simply the result of a natural cyclical process and will inevitably be followed by an upturn. If they just sit it out patiently, it will eventually come good. So they do nothing. They change nothing. The pessimistic company is more likely to believe that Armageddon has struck and there’s nothing they can do to rise from the ashes. So they might not even try. The optimistic company probably believes that despite the odds, they will be the one to come through. 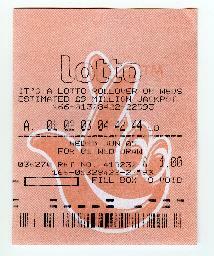 The pessimistic company is less likely to believe in odds because that would imply an element of luck. They know there’s no chance! Problems arise when Optimism or Pessimism become extreme. That’s when it can feel like trusting to fate or destiny; the point at which we blindly accept that “What will be, will be”. To the optimist, that’s great as long as you have the luxury of time to hang on in there. To the pessimist, that’s awful. But at least there is comfort in knowing. “I don’t have to look at myself, because things will happen anyway, and I am not in control”. This is often why people wait for so long before taking action. 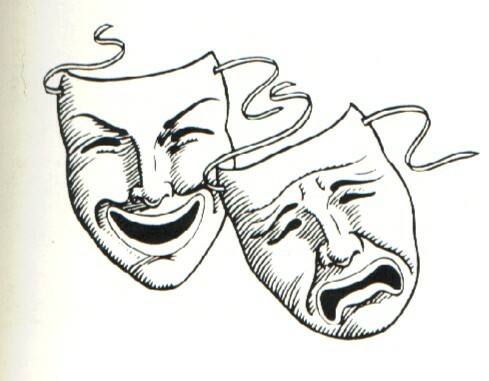 And when they do act, it’s often because of some enormous jolt in their lives such as a bereavement, or redundancy. Until then, they’ve been relying on O or P.
There’s been a lot of talk about Being Positive. Everything will be all right if you think it will be. There’s some evidence to back up this claim, especially in the way patients respond to ill health. Their positive attitude can stimulate their immunity and recovery systems to some extent, usually accompanied by positive action to improve their well-being. But this Positivism can also stop us from facing reality (whatever that is) and taking real action. I don’t play the lottery. Mostly it’s because I forget to buy a ticket, but mostly I forget to buy a ticket because I don’t really want one. Statistically, this is true, but by buying a ticket I feel that I am abdicating some of my responsibility to build my own future. The dream of winning “and then everything will be alright” can be like a powerful stamp on the brakes in terms of being proactive. I’ve worked with so many companies who have pinned all their hopes on the acquisition of a new piece of machinery. One company chose to invest in a piece of kit prosaically called a Lump Breaker. Its purpose is to grind food product that hasn’t been properly mixed and redistribute it back onto the production line for reforming and packing. “This will halve our waste” the company proclaimed with delight. But that isn’t what happened. So much hope (blind and untested optimism) was pinned on this solution that people stopped thinking about their own responsibility for not creating waste in the first place. They stopped looking for other opportunities, and they gave up control. To make matters worse, since the Lump Breaker was reworking product that had already been worked on before, it was actually adding to the overall cost of the product. Waste and costs actually went up! And the Lump Breaker wasn’t cheap either! On a positive note, the failure of the Lump Breaker to deliver the expected returns opened people’s eyes to new opportunities. Waste at the company has more than halved in subsequent years without the aid of the Lump Breaker which has now been de-commissioned! Waste is under control. It’s the absolute nature of the blind pessimist that is so uncomfortable. When we reach a point of being so certain that the worst will happen and the best will not, we become trapped and helpless. When this happens it’s easy to start feeling like a victim. It’s a state where we feel we’re not in control, but other people (or things) are in control of us. So pessimism can lead to paranoia (“They’re out to get me”), and from here it’s a short hop to blame. It’s very easy when things get tough to start blaming everyone else. We’ve all done it, I’m sure. When we don’t get that order it’s because the competition used under-hand tactics; when we don’t deliver that project it’s because our project team let us down; and when we start getting customer complaints it because our customers are spoilt. Shuffling of this responsibility is a sign that we’re not in control. Adopting extreme pessimistic views usually means accepting that just because something terrible happened in the past, it will definitely happen again. It’s often an emotional not a rational response, but what it does is freeze people in time. All they can do is hunker down and prepare themselves for the inevitable rather than try to dig their way out of the ice. Let’s not be too harsh on the pessimist. There is often a reason why they believe what they do. Take for example the person who goes on a city break to Barcelona. Whilst there, strolling down La Rambla, taking in the sights, a pickpocket takes his wallet and his phone. Now when anyone mentions that they’re thinking of going to Barcelona, he emphatically pronounces, “You don’t want to go there; you’ll get robbed”. He doesn’t say you might get robbed. It’s a certainty that you will. But the only thing that is certain here is that he will never go to Barcelona again. In business, these are the behaviours that kill innovation and destroy morale. On the whole we like Optimists and have a downer on Pessimists. Being one or the other has generally been considered mutually exclusive. But isn’t there room for a little bit of both? What if we have some optimism with a small measure of pessimism, just to temper some of our wildest fits of excess? Do away with the extremes and find a sensible middle ground? We tend to call this alternative ‘being realistic’, but it’s a bit unsatisfactory because there are too many ‘realisms’, each of them personal to the person who sees them. One person’s idea of what’s real is very different to another’s. My realism might be perceived as pessimism, (for instance I think it’s completely reasonable to assume that I will never be able to knock Usain Bolt off his 100m world record pedestal, whereas your response might be “is that a good enough reason to not even try?). And their optimism could be perceived as delusion, such as when my wife says she’s going to succeed in turning me into a fashion icon! Reality is a moving target. So ‘realism’ might not be our answer. So instead of focusing on Optimism or Pessimism or Being Realistic, I think it’s much better to concentrate on Creating Opportunity and Taking Control. This recognises our role in shaping outcomes and creating a reality that works for us. We can still have our optimism and pessimism, but it’s well tempered, allowing us to have a balanced and measured approach to our lives and to our work. Our weekend visitor to Barcelona could again enjoy the sights and smells of La Rambla if he took a few security precautions. Being aware of the risk allows him to take control of the situation, and take advantage of the opportunities that the city has to offer. For companies that can see, create and take opportunities; for those who can exercise control over the way they navigate the market: they really have something to get excited about. Here’s an example of how one person I knew broke free of Blind Optimism, seized an opportunity and took control of his life. He was an actor who was highly regarded by his contemporaries. Throughout his training he was lauded as the ‘next big thing’ in the theatre and film world. For year after year, he dreamed that dream, hanging on for that lucky break that would catapult him to professional success. So he sat waiting for the phone to ring; waiting for his agent to get him an audition; waiting for people to come to him. Believing that one day, his dream would be realised. He wanted his work to speak for itself and felt that if there was any justice in the world, one day it would. The trouble was the work didn’t come often enough. So his shop window wasn’t there. And when it did come, it wasn’t stuff he was happy to use as his calling card. He was totally dependent on other people giving him an opportunity to practice and develop his craft, but there were no suitable offers. Even when he did work, the crowds didn’t come. The agents weren’t clamouring to see him. The influential reviewers weren’t making the detours to obscure and remote regional theatres. The money wasn’t flowing in. The prospect of becoming the next Richard Burton wasn’t being realised. He reached a point where he realised that his lucky break might not happen. And that whilst he was waiting for it, time and other opportunities were passing him by. And all those other things he’d the potential to do weren’t being done. He was in a state of limbo. That was his reality and he didn’t like it. So his response wasn’t driven by Optimism or Pessimism. This time he tried something quite different. He made a decision. It was a decision that put him back in control of his life. He made a career change. He retrained and moved into marketing. He didn’t see this as defeatist. He’d given it his best shot. He didn’t doubt his ability, and neither did the people who saw him perform, but it just wasn’t happening, so enough was enough. Now, he doesn’t wake up thinking, “if only”, or “I wish”. Now he wonders “why didn’t I do this before?” Because now he gets up and goes to work. Now he’s doing something new that he loves and he’s working on getting even better at it. Now he earns a living, and can build a good life for him and his family. He’s no longer waiting on that elusive lucky break. And all those skills he had as an actor aren’t going to waste. They’re just being used in a new arena. One of my first assignments as a Training Consultant was facilitating a Personal Development Programme at Unilever Research. One of the instruments we used to help raise self-awareness was an Efficacy tool. It helped to clarify the degree to which people felt they were in control of their lives. It wasn’t until much later that I was struck by just how important it is for people to feel that they can shape their own future. The Whitehall Studies which began in 1967 have been looking into incidents of Coronary Heart Disease (CHD) within the Civil Service, and comparing these against the national average. The studies have concluded that a significant contributory factor in incidents of CHD is the degree of control people feel they have over their work. People who were micro managed or who had limited scope for choosing how they carried out their work were found to have a far higher incidence of CHD, than other colleagues, and higher than the national average. These people were in administrative, not management roles. Neither absolute Optimism nor absolute Pessimism can guarantee us being in control. If something isn’t working, you have to change it. Holding out for a lucky break is a high risk strategy. Waiting for the market conditions to change (because sooner or later they always do), or expecting something to happen if you hang around long enough, is crazy. Hoping that an employee will change their behaviour eventually rather than intervening to bring about that change is madness. I know there’s no certainty with my reality created through Opportunity & Control. Optimism and Pessimism do feel more certain (If I’m optimistic, it will definitely happen and if I’m pessimistic it’s bound to happen). But the reality I create is different. I’m in control, or at least I feel in control. It opens my eyes to possibilities and opportunities that would otherwise be denied to me. It’s more of an adventure with no guarantees but a great sense of travel. At least I’m on the move. Instead of being stuck in traffic, waiting for the traffic jam to clear, I’m making up a new route and it’s taking me somewhere I want to go. Too many companies are still stuck in traffic, and it’s a judgement call whether they sit it out waiting for the road to clear or whether they pull off the carriageway and find an alternative route. They might not get there any sooner (the risk is the traffic will clear just as they make their exit), but they might find out a lot of interesting new stuff on their new route. Who knows what opportunities lay in wait for the company that makes a detour? So I’m both an Optimist and a Pessimist (with the optimism just winning out!). I’m optimistic because I’ve made big changes in my life and things improved, so I know I could do it again. I’m pessimistic because bad things have happened in the past and they could (probably will) happen again. Just because things are ok today, I don’t expect them to be ok tomorrow. And I’m prepared to believe that things won’t automatically happen unless I help them along. If we have these elements working in harmony, we can all feel more in control of our life and work than if we were relying on luck or chance alone. if that doesn’t work look to do something else. And if you see a flying pig, celebrate your optimism but just pray it hasn’t got an upset tummy! Are We Being Short Changed? Fact or Friction – the curse of always being right!